My own calling into Jesus’ mission to announce good news to the poor, release to the prisoners, recovery of sight to the blind and freedom to the oppressed has been re-affirmed in recent months, with special emphasis on equipping and mobilizing people towards the not yet reached. My calling to pursue graduate studies in theology in France happened in the midst of an intense period of leading regular Bible studies with poor and minimally-educated peasants in Honduras. I was continually inspired by Jesus’ teaching ministry in the Gospels, which took place in fields, villages, and seashores as well as along the road, and in homes. Jesus’ passion was that “the poor have the Gospel preached to them” (Luke 7:22), and that inspired my conversational search for good news in Scripture with people outside of church settings. After a number of years we began to feel tired and in need of input ourselves. How could we grow in our effectiveness in bringing the Gospel to the poor as Jesus did? Jesus offers himself, God’s beloved Son, rich wisdom from heaven to the broken world in his self-emptying love (Philippians 2). We wanted to contemplate these mysteries and receive more in-depth training, somehow bringing the best we could find to those often considered the least. I currently minister regularly in jail and prison and here in our Tierra Nueva faith community, yet our recent Certificates in Transformational Ministry at the Margins (CTMM) have been mostly offered in more advantaged places (Washington State, London and Seoul)—though attendees are mostly ministry workers serving the excluded. 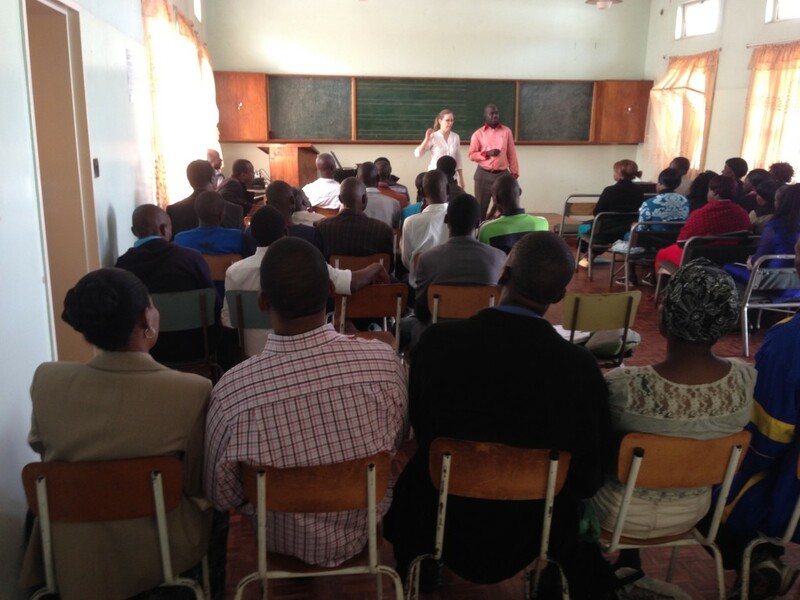 In October I told God of my desire to train ministry leaders in places of greater deprivation. Within a few weeks I had received two invitations to offer our CTMM in Kenya, and invites to Nigeria, Zimbabwe, South Africa, and to minister in prisons in North Carolina and London. This January Gracie and I attended a five-day listening prayer retreat on Robben Island, organized by a Cape Town-based ministry called The Warehouse. Robben Island was the site of an infamous prison used by the South African governments during apartheid times to house political prisoners—including Nelson Mandela, Robert Sobukwe and countless others. Robben Island is now a museum with tour buses bringing groups around the island six days a week. Our group of about 50 ministry workers and activists from across Africa and other continents stayed in the once minimum-security prison unit with bars and razor wire still intact, now converted to host groups in a still rustic setting near beaches occupied with African Penguins and nesting Oyster Catchers. On the second day we broke up into groups of twelve and each went on walking tours of key sites on the island: the leper cemetery, the lime quarry where prisoners did forced labor, the maximum security prison, the home where activist Robert Sobukwe lived under house arrest and was kept from speaking to anyone for years. While visiting the now-empty maximum-security prison I was deeply affected as I read captions in many of the cells describing the lives of the inmates who had done time there. 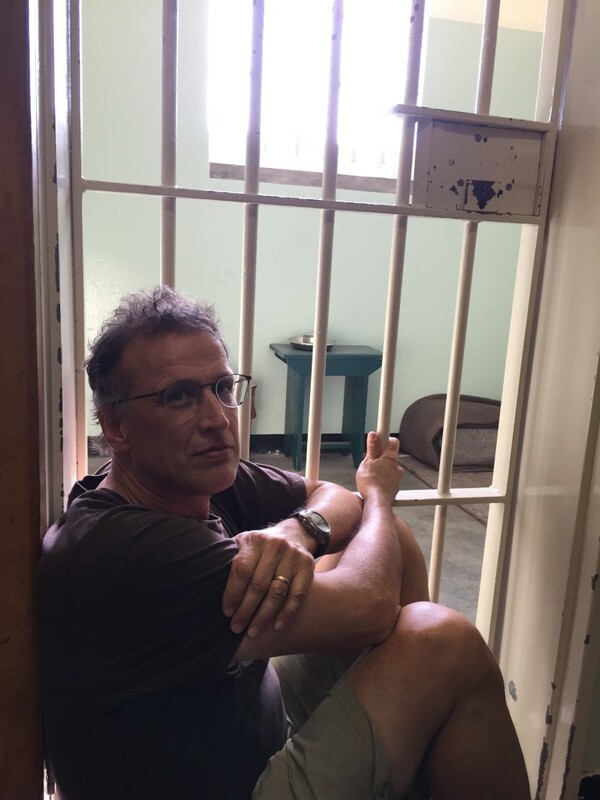 As I stood and contemplated the cell where Nelson Mandela spent 18 years of his life I found myself overwhelmed by the gravity of the many years people spent there and continue to spend the world over suffering the cruel and unusual punishment of confinement. I was filled with hope to see that all these cells were now empty– reminding me of a vision and prayer I’ve had of Skagit County Jail being completely empty of inmates. Nelson Mandela emerged from 30 years in prison a skilled statesman leading South Africa into a new era with great wisdom and tact. This is something I’ve been called to do for quite some time—to put together a curriculum for leaders on the margins, a module-by-module discipleship and leadership development course that can be used in prisons but also outside. The call felt re-affirmed and strong. I walked into the yard and found a member of our group who from Zimbabwe. He had spent time in prison, suffered torture and now works as a human rights lawyer. He laid hands on me and prayed for me there in the prison courtyard, and I have been pondering this project ever since. After Robben Island Gracie and I made our way to Zimbabwe via Pietermaritzburg, where we offered the first module of our Certificate in Transformational Ministry at the Margins to over100 pastors and leaders—all of whom serve impoverished communities with increasingly run-down infrastructures and unemployment as high as 90%. We felt deeply encouraged by our time, witnessing unusual humility and spiritual hunger, visible in an eagerness to learn, openness to the Holy Spirit and a passion to communicate good news to the poor. 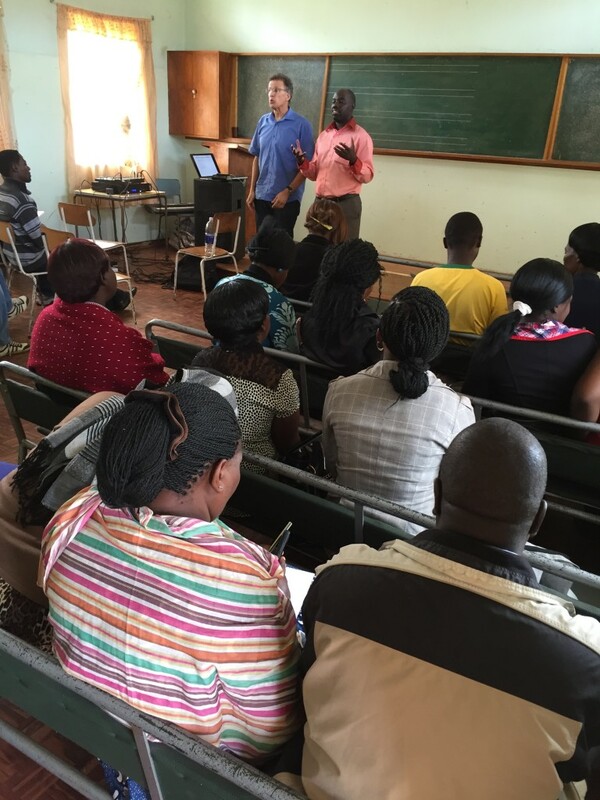 We will likely return to offer the next module of our CTMM and are in conversations with others in Kenya and Congo about potential cohorts there. We appreciate your prayers for wisdom and clear direction to further develop our training programs, to recruit and raise up more trainers and respond to recent invitations in other countries. Invite: The People’s Seminary is offering Certificates in Transformational Ministry in the following locations in 2016.